Just one more stop for a night in Chicago and... I’m getting ahead of myself. We packed up the rental car for the penultimate time on this journey and headed toward Chicago IL, via Wisconsin. More farms, but unlike the ones in North Dakota, these seemed relatively small and nicely tucked away between verdant rolling hills. Again, drive-by photo-shooting did not work; you will just need to take our word for it. It was beautiful! 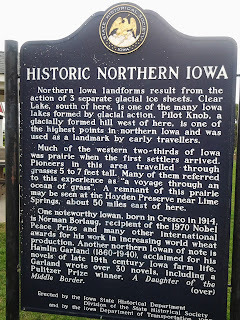 Of course, the ever-present educational signs met us also at the rest areas in Wisconsin. We learned about Sphagnum Moss, a rather unknown but important industry in Wisconsin. And here we thought they were just about cheese. 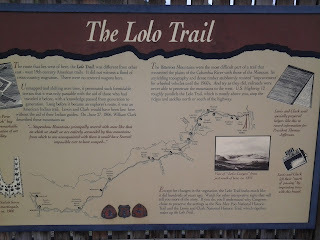 And we learned a bit more about the Winnebago Indians. Before crossing into Illinois, we stopped at the “world’s largest” Culver’s and had some or their famous Butterburgers and yummy milk shakes/smoothies. You know it’s been a rather long two driving days when the navigator (who shall remain nameless), is wearing reading glasses AND using a magnifying glass to decipher a map, not realizing that the darn thing was upside-down. No more map-reading, please! When we arrived at the outskirts of Chicago, we wished we could have brought the Montana traffic (or lack thereof) with us. We did finally make it to the home of Jerry and Terri Pinney, who were the most welcoming and gracious hosts one could ask for. Chicago style pizza and some good conversation, and a couple of hours later we turned out the lights. Excellent coffee and breakfast, and more conversation with Jerry were the perfect send-off for the last leg of our trip. Here I am with Jerry right before we left. Just let me rest in my own bed for a few weeks and I may just succumb to another bout of wanderlust. Hmm…where to next? My four remaining states to visit are Alaska, Louisiana, Mississippi and Vermont. 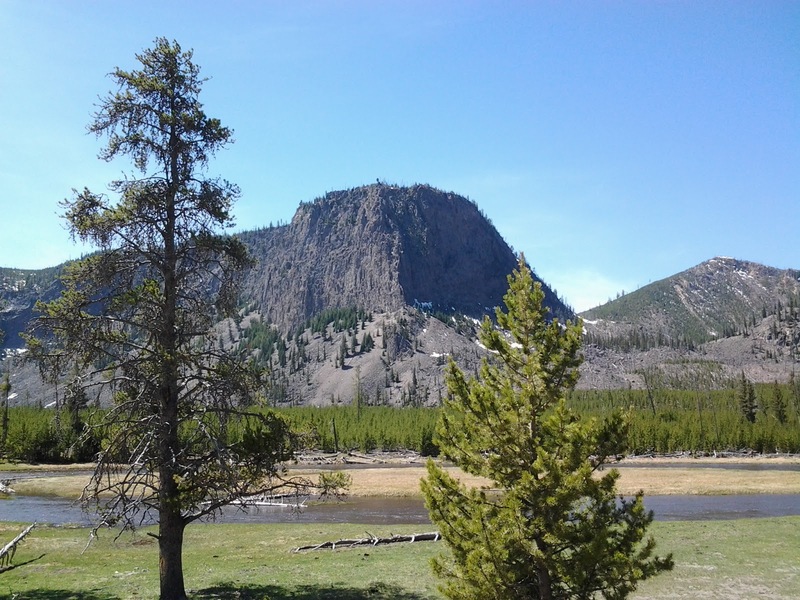 A beautiful morning greeted us in Paradise Valley, the large Yellowstone River valley between the Absaroka and Gallatin ranges of the Northern Rocky Mountains. Reluctant to leave this remainder of Eden on earth, we packed up the rental car again and continued our journey eastward. 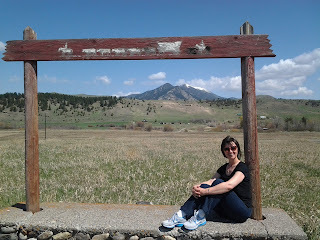 Most of the day we followed the Lewis and Clark Trail: I-90 and 94, along the Yellowstone River. 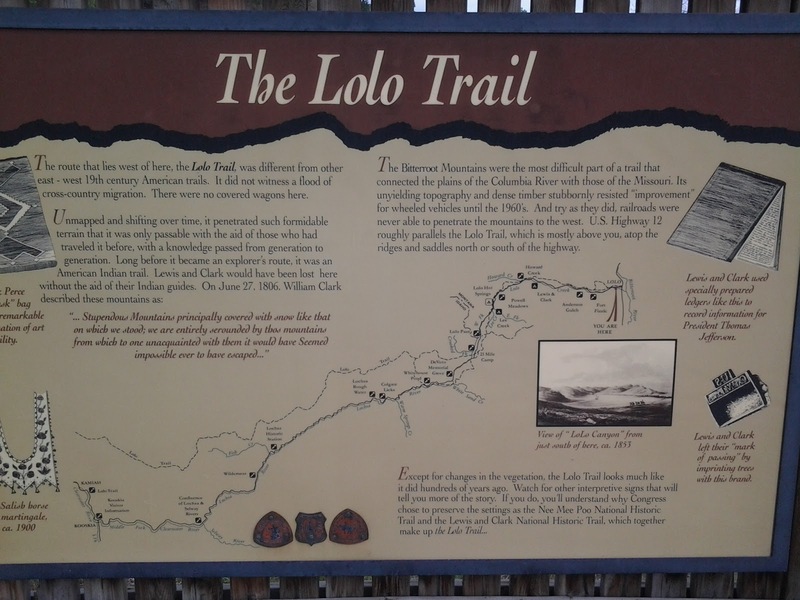 Large signs with interesting tidbits of historical information greeted us along the way. We were reminded of remarkable men like Jedediah Smith, one of the most famous fur traders and trail blazers during the west-ward expansion of the 19th century. 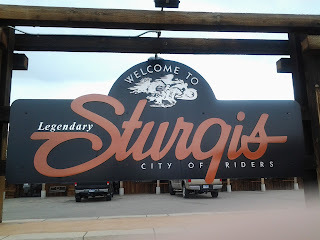 At Wibaux, the last sizable town on the map before leaving Montana, we read again about the sad consequences of such expansion when devoid of consideration for all of God’s children and creatures. 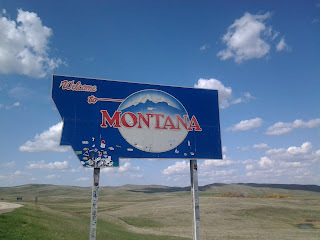 ...we entered what is known as the North Dakota Badlands or the Little Missouri National Grasslands. 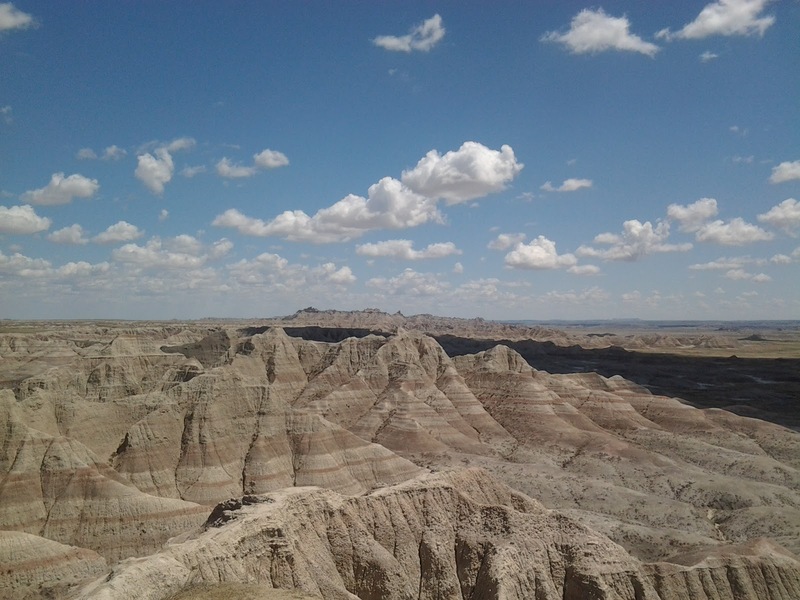 I think Badlands is a more appropriate term than Grasslands. 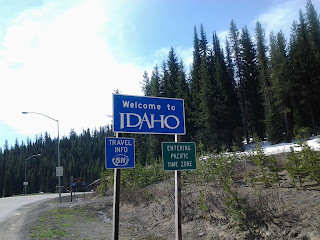 We failed to see much grass driving through. The miles and miles of wide open spaces and no sign of civilization except for the paved road, an occasional vehicle, and a lone farm in the distance left us speechless. As we neared the city of Dickinson, things changed drastically. Talk about “sprawl” and a construction boon! Ironically, we were unable to find a spot to stay for the night. It was weird! So, off we went across more of a seemingly deserted section of I-94, the highway we had been on since leaving Montana. 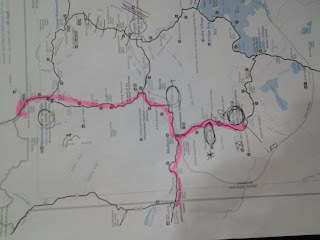 We were wondering if the towns that were announced by road-side signs and which figured on our map actually existed! From where we were sitting in the car, we could see no evidence. 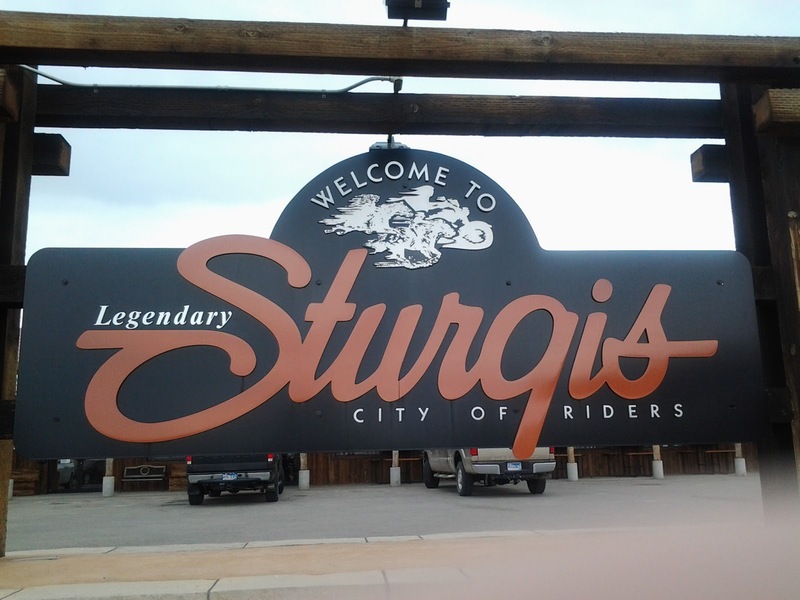 After a long nine-hour day of travel, we finally rolled into Bismarck, North Dakota’s capital. We found food and a comfy bed rather quickly in this wildly growing city. Wednesday our plan is to make it to Minneapolis MN area. How many beautiful days in a row can one have?! 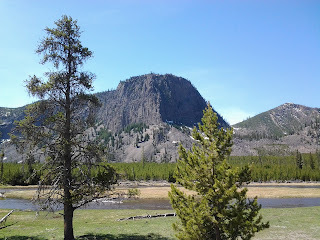 Monday was a perfect day to spend in Yellowstone National Park. Thank goodness we stopped at the West Yellowstone Visitor Center and spoke to Ranger Rick (whose name is really Keith). One actually needs several days to see and experience this breath-taking place of natural beauty. 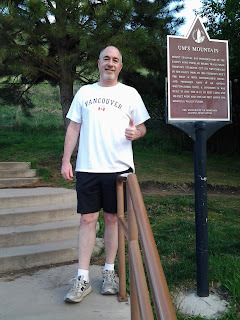 Ranger Keith provided the perfect route for us since we did not have several days to explore one of John Muir’s favorite stomping grounds, but also didn’t want to leave frustrated for having missed the major highlights. What a feast for the senses! 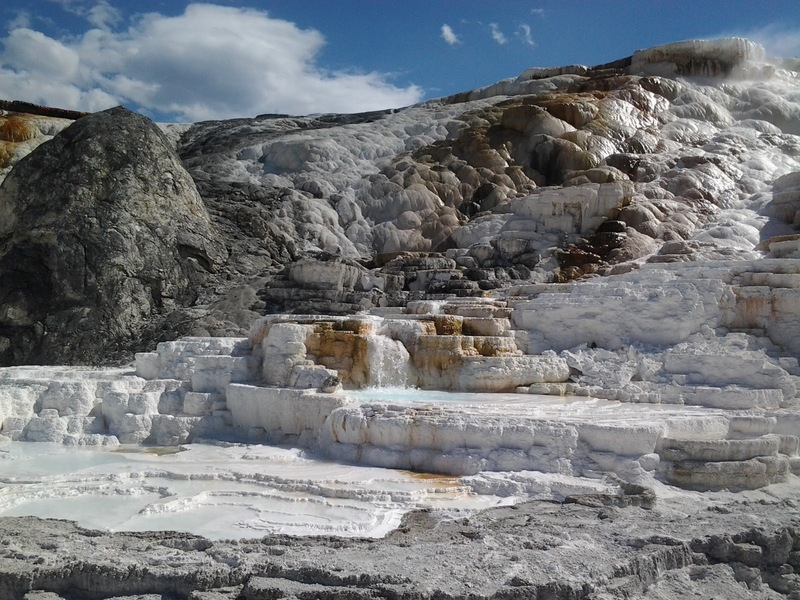 The soft, refreshing scent of myriads of pine trees counteracts the sharp sulfuric smell of the hot springs. Birds, frogs, cascading rivers, and rustling leaves sing their harmonious song to the delight of anyone who will be still and listen. The majesty of the mountains under the big sky, the colors of budding early-spring flowers, the animals, the rolling rivers, and spectacular geysers compete for the attention of the eye. After visiting Old Faithful, we had a picnic lunch along the banks of Firehole River. 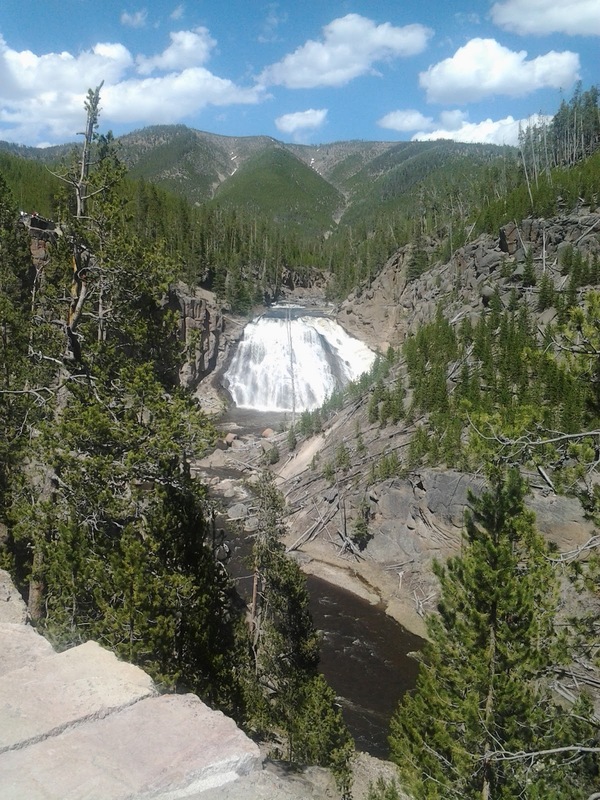 The next stop along the route Ranger Keith suggested for us was Gibbon Falls. 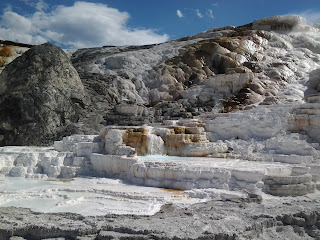 The last major attraction of the day was Mammoth Hot Springs. We departed out of the north side of the park through Granier where this famous gate is located. Our view is that nature indeed declares the praises of God. After departing Yellowstone National Park we only made it as far as Livingston MT where we had another light dinner and found a quaint little hotel appropriately called the Livingston Inn. Saturday began by dropping Victoria off for class at The University of Montana around 7:30 am. 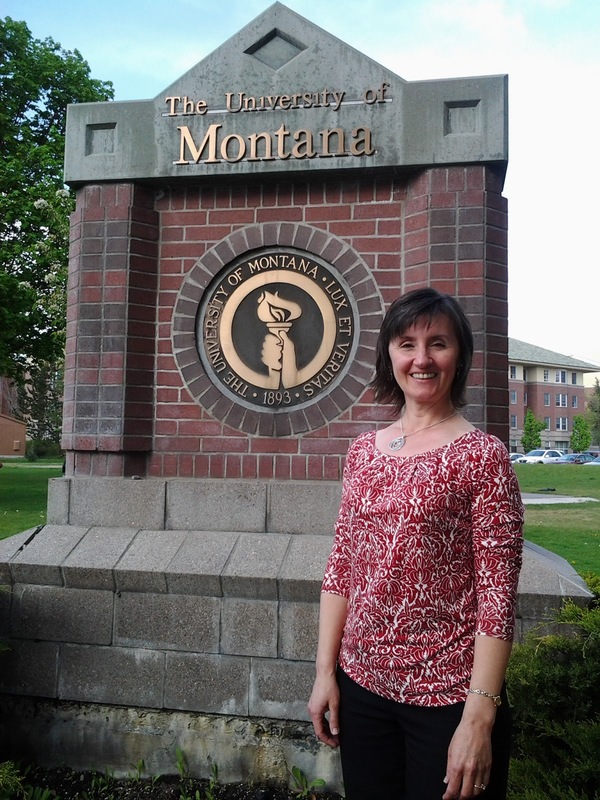 She had a full day of lectures and group work from 8:00 am until 5:00 pm. My mission for the day was to make it into Idaho and knock that state off my list of states visited. 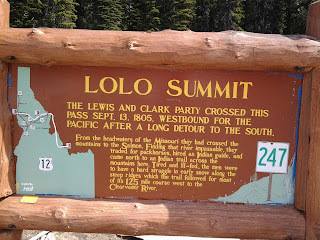 I left Missoula mid-morning and followed Highway 12, which is essentially the historical Lolo Trail, through Lolo Pass into Idaho. 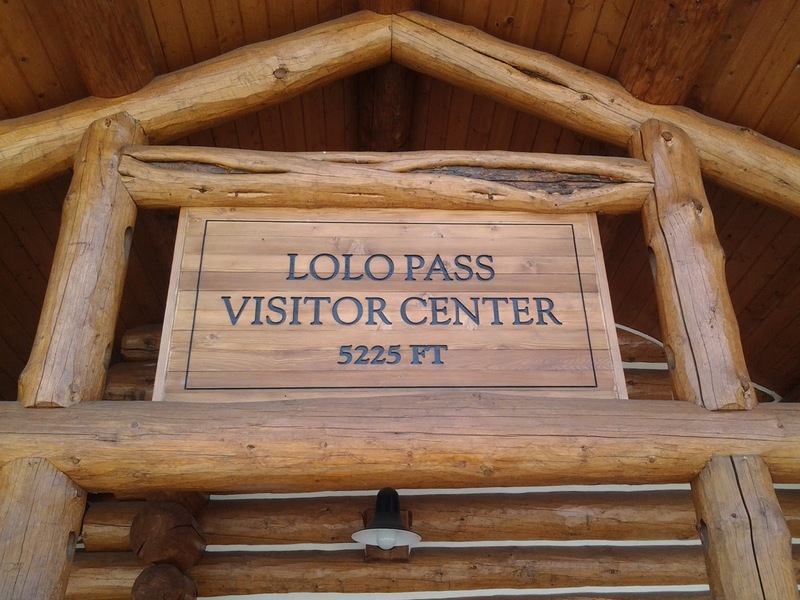 There is a very convenient Visitor Center on the Idaho side of the Montana / Idaho state line. 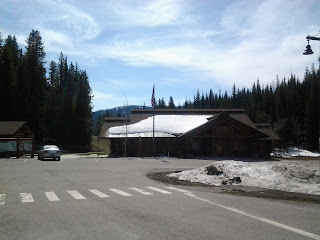 And yes, there is still snow at that elevation. My whole round trip from Missoula into Idaho and back to Missoula only took a couple of hours so I was back at the hotel for lunch. I spent a leisurely Saturday afternoon watching a movie and doing some trip planning for our return to Ohio. After picking Victoria up, and having a light dinner, we accomplished the mundane task of getting our laundry done. Victoria said one of her favorite memories of the day was the smell of all the Lilac and Jasmine bushes blooming. We're now halfway through our trip and will be generally eastbound for the remainder of it. Good morning beautiful blue Montana morning sky! 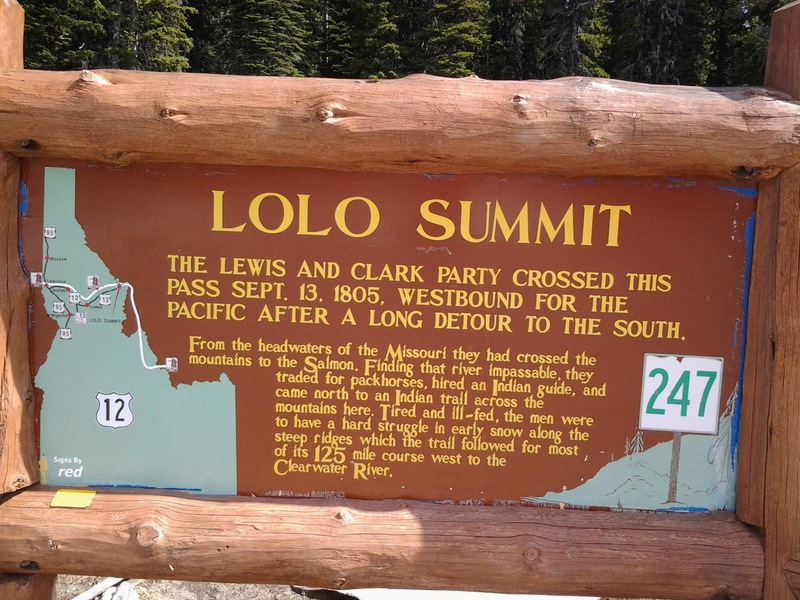 Energized by a hearty breakfast, we started the last leg of our l-o-n-g drive to Missoula. 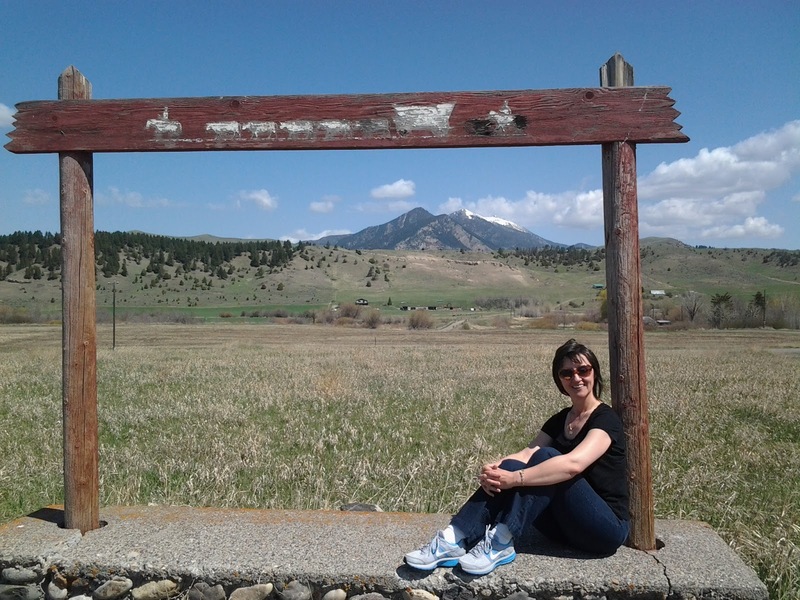 Victoria says she may have found her beautiful Montana ranch she's been pining for. What a spot! 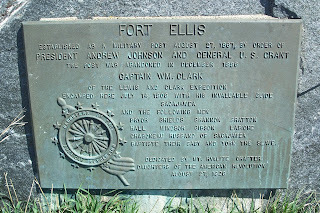 Captain William Clark apparently thought so many years ago. 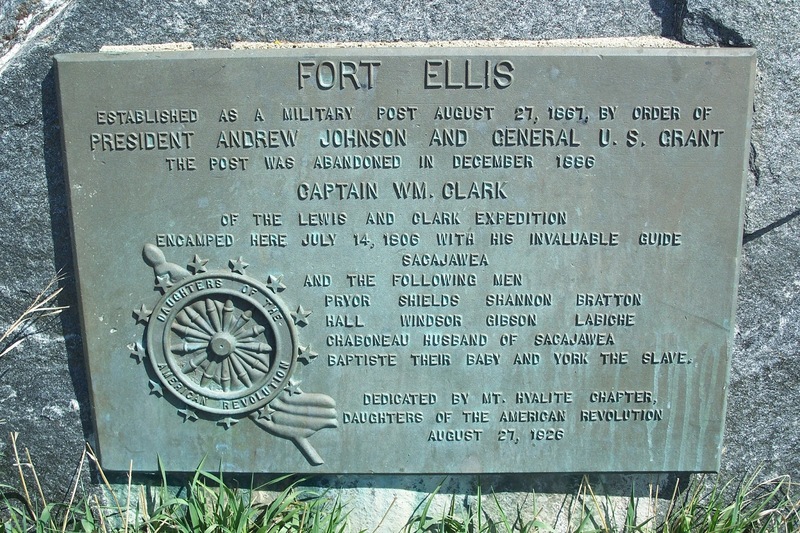 He and his group, Sacagawea among them, set up camp here. The beauty of the distant snow peaked mountains, the spring-green high plains, the winding Yellowstone and Clark Fork Rivers made the five-hour drive rom Billings to Missoula go by rather quickly. Once we arrived in Missoula, we decided to hike the "M" on Sentinel Mountain, a University of Montana tradition. We made it up and down safe and sound. Another soak in the hot tub and then lights out early since Victoria has a full day of class Saturday. That is the "real" reason for this trip after all. 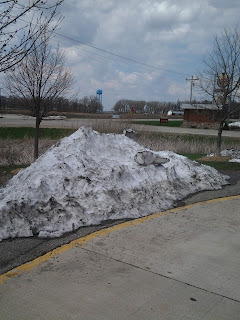 Wednesday started In Mitchell SD as a sad and rainy day but then turned spring blue as we drove west on I-90. Our first side trip was the Badlands National Park where Victoria got shutter-happy. God did some awesome work when he carved the Black Hills and set the forces of nature loose on them. 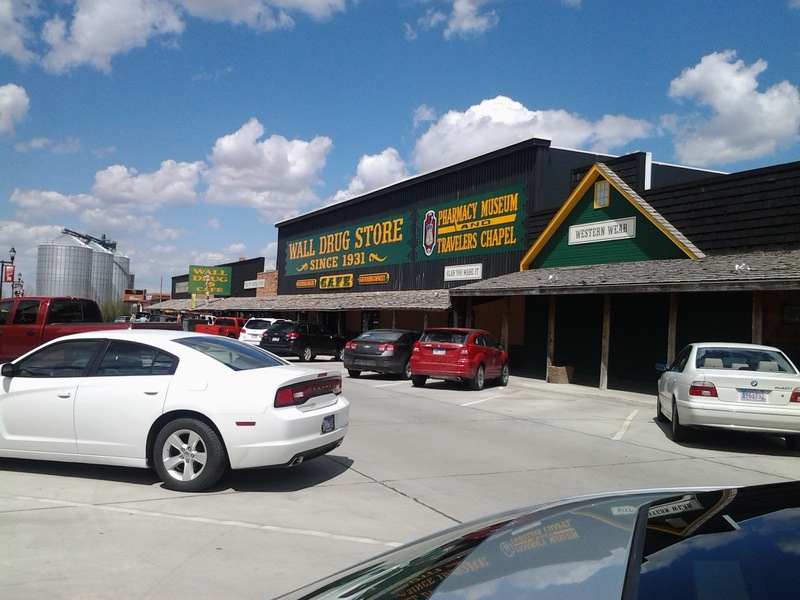 Of course, one cannot drive through Badlands National Park and not stop at Wall Drug in Wall SD. Who knew that “Nickel Coffee” (5 cents) and “free ice water” would be the magic formula to draw people from all over the world to this drug store in the middle of nowhere? 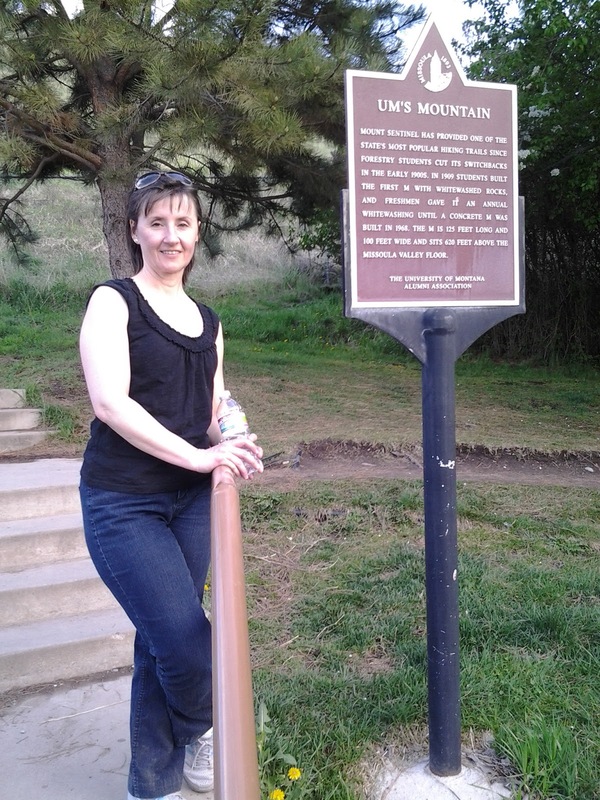 We ended our day in the little historic town of Keystone SD. Buffalo burger, ice cream, a nice hike rounded out our day. 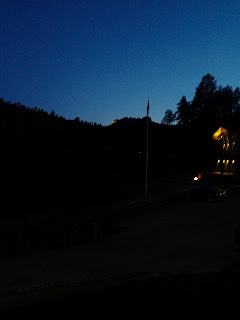 We were back inside by sunset, before the mountain lions started their prowling, according to the locals. We literally stayed in the shadow of Mount Rushmore at the K Bar S Lodge. We just could not have asked for a better view from our room. 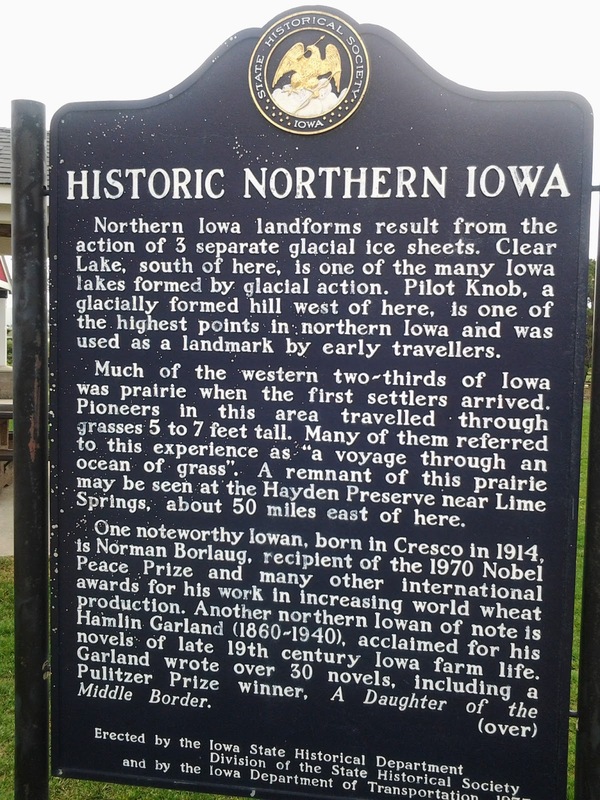 Hello northern Iowa, southern Minnesota and eastern South Dakota! Did you know there are rest areas and then there are “modern” rest areas in Iowa? You want the modern ones, trust me. 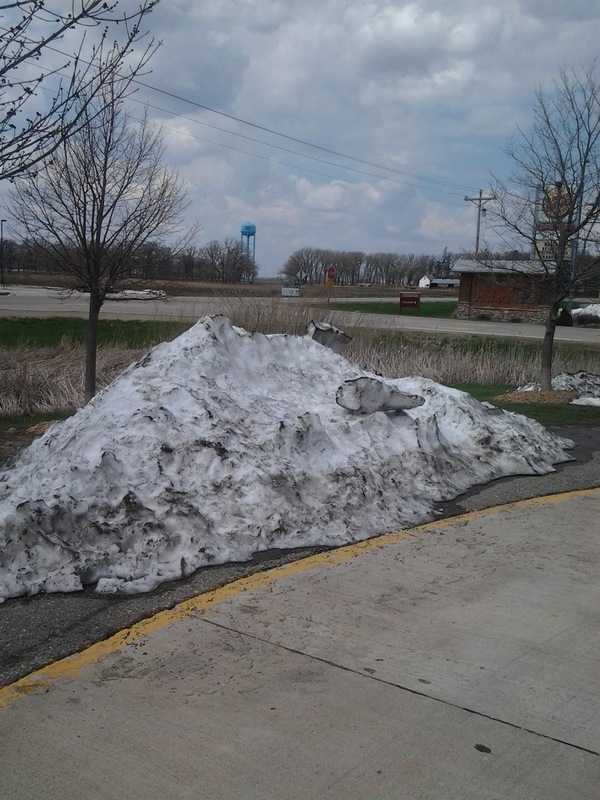 BTW, there is still snow in northern Iowa! And yes, Minnesota IS the land of 10,000 lakes. Eastern South Dakota kind of went on and on after a long day’s drive. What is that interesting formation in the distance? Who knew that in the middle of nowhere we would find a sculpture park along I-90? The behemoth bull’s head and a humongous hammer from Porter Sculpture Park are now forever etched in my memory. 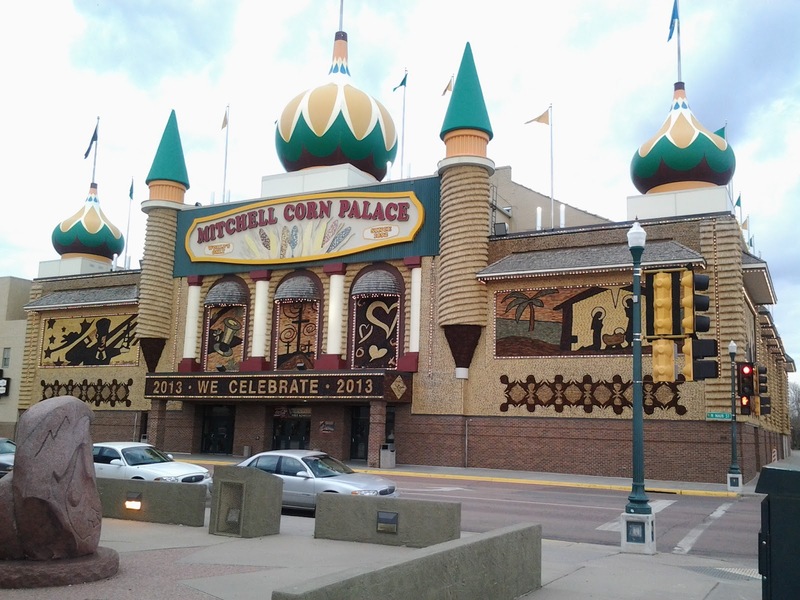 After about 500 miles of driving Tuesday, we were intrigued enough to stop and see the Corn Palace in Mitchell, South Dakota. After that bit of excitement we found a comfy place to rest. We hit the treadmill and elliptical to counteract some of the sedentary hours we had spent sitting in the rental car, and capped the day off with a restful soak in the hot tub. Ahhh!